High School Math based on the topics required for the Regents Exam conducted by NYSED. How to construct an isosceles and equilateral triangle? The following diagrams show how to construct an equilateral triangle and an isosceles triangle. Scroll down the page for more examples and solutions. 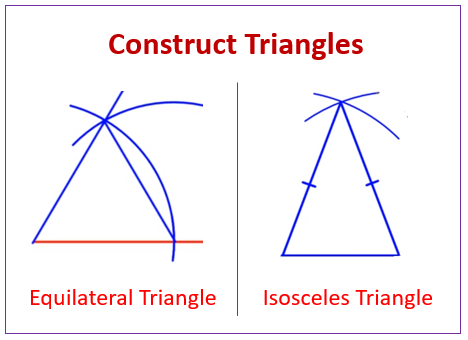 The video describes how to construct an isosceles and equilateral triangle.